As Reliance JIO has updated the JIO tariff plans recently, most of the user do not know the JIO tariff to recharge their JIO number, so here is the most recent JIO prepaid tariff, you can check and do the recharge to your JIO number according the benefits and validity with your choice. Here you will get the recent updated JIO tariff and know the validity and benefits, please see the below tariff plans applicable for Reliance JIO. 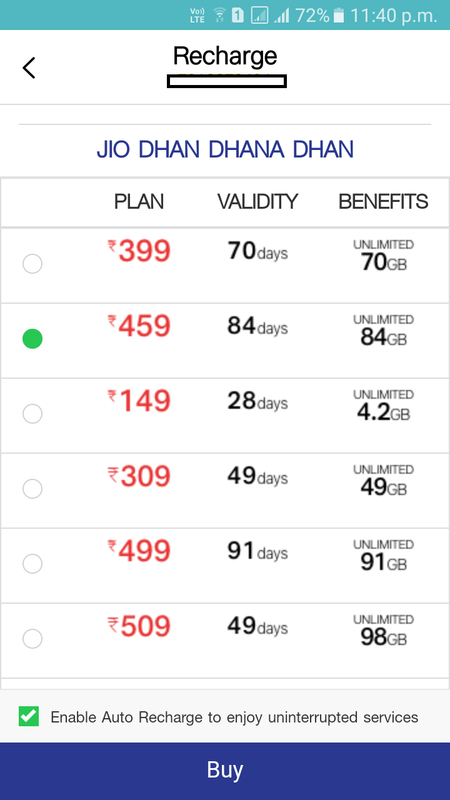 Note: All the tariff plans is collected from My JIO App and can be changed by the respective owner of the Reliance JIO and the recharge offers or tariff plans may not equal for all users, so before recharge your JIO SIM please confirm the tariff with JIO retailer or if you have "My JIO App" you can check it yourself. *Unlimited data at 64Kbps after daily data limit.